A new take on the popular Cuz toys by JW Pet, the Ribbed Cuz is a durable dog ball with feet but this time with a fun ribbed design in a new mixed material construction combining durable nylon with translucent thermoplastic rubber. A dog ball with feet? Sounds odd but wait until you see Cuz bounce. Those feet send him in all directions. Ribbed Cuz is loads of bouncy fun. 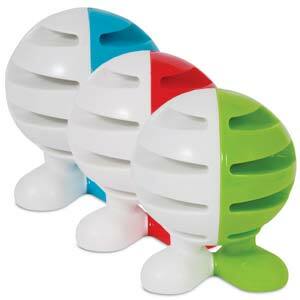 As well as their impressive and erratic bounce, this toy includes a squeaker secured in a patented casing. 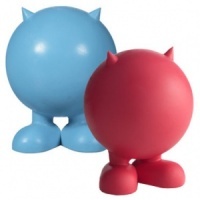 x1 toy - assorted colours - blue, green or red.